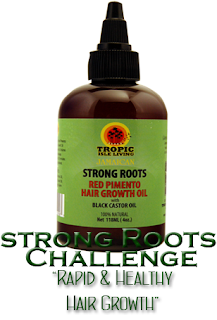 Castor Oil Challenge is BACK + *New* Strong Roots Challenge - Hairlicious Inc.
Is the group for this set up with a list what we are doing for the challenge? I'm on Hairlista but don't see the actual group for this challenge. Sorry, the Potion cannot be used for the Castor Oil Challenge. I've been natural for 9+ years, but this will be my first participation in a hair challenge. I cut a significant amount of my hair last year and have had problems getting it to grow back, so I'm excited about this challenge. :-) Do we have to use the Tropical Isle Castor Oil/Pimento Oil, or can we use another? I was thinking of ordering the Black Castor Oil/Pimento oil combo from Sunny Isle - anybody have any experience with this product? I'm ready to join my very first challenge, my shipment of Pimento oil is on the way,I;m really excited to see results in the next 3 months...Good Luck to all. 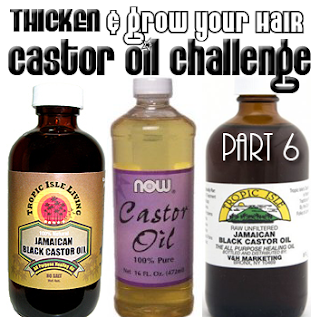 I can't wait to join this challenge on hairlista, thank you so much for bringing this back, I just got my jamaican black castor oil yesterday and I'm so excited, I'm really looking forward to this ! Thank you Sunshyne ! what are the details? This is going to be my first challenge and I can't find them. I would love to know what the details are, but there is nothing about it on Hairlista !It's almost the 2nd of september, and I can't wait !When does it start and where do we go to get the right informations !Thanks in advance. Thanks Ladies for being so patient. The group challenges are now live on Hairlista so please join ASAP! The details will be posted today, the latest Monday morning. Stay tuned. I am all in! Hey guys where do i post my starter pic for the challenge? thank you in advance ladies.